You can better prevent vermin than combat it. At home, you can prevent vermin, such as mice and cockroaches, by keeping your house clean. 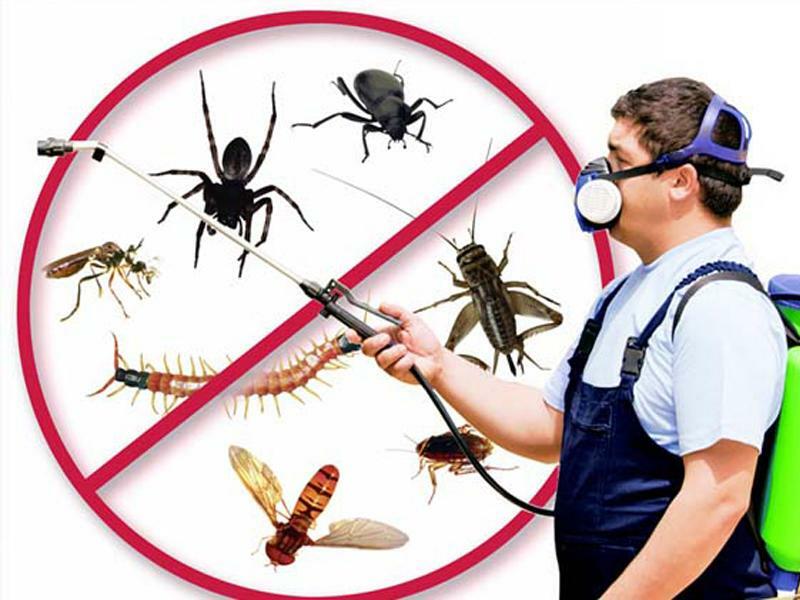 You only have to fight pests if they are harmful to your health or your home. Outside you can prevent vermin, such as rats, by clearing your garden properly. Ants are especially active in warmer weather. If you find an ant’s nest in your garden, chances are that they will also enter your home. Ants in your garden usually do not cause much nuisance but can spoil your gardening pleasure. Ants in your home can transmit bacteria and diseases because they walk through waste and sewage during their search for food. It is therefore important to keep out ants from your home. Ants in your garden spread aphids that could damage your plants. They also remove sand under terrace tiles, causing them to come loose or shift. The scent of the following plants help to keep ants at bay: lavender, tomatoes, and African marrows work before flowering. Tansy, wild mint, rue, rosemary, marjoram, spearmint, lavage, nettle, marigold only works when the plant blooms. Ants look for food (leftovers) and unpacked supplies. They are crazy about sweet products. Make sure that you store your food in, for example, lockable cans and storage cans. And that you clean up sweaty sweets right away. Ants on a reconnaissance trip if you close seams and cracks with sealant or a clove and place fine insect gauze for ventilation holes. Do you still run into ants? Then first remove the odor trace with soap. Ants always follow the same route. They find their way back through the scent trail. Sprinkle onion powder, cucumber peels or slices, cayenne pepper, coffee grounds, clove, cinnamon, lime or rock flour onto the ant path. Also, onions of onion and garlic juice, clove oil and citronella ants get disoriented and eventually they go elsewhere looking for food. Will ants stay in your garden or home? Then you can use an ante cube box or aerosol can. Mice and rats pollute food supplies with feces and urine and they spread germs. If they cut through insulation material and power cables, they also cause damage to the house and pose a safety risk: fire-prone situations occur. Mice mainly go into homes in winter in search of food (leftovers) and unpacked supplies. Make sure that you store your food in, for example, lockable cans and storage cans. And that you regularly vacuum clean, so that no crumbs remain. This makes your home unattractive for mice. Mice are already coming through a gap of half a centimeter! Therefore, close these openings properly. They also enter the walls through the ventilation openings. Place fine mesh for these openings so that the mice stay outside and the ventilation remains good. Rats will not enter a home as quickly. They seek a shelter in, among other things, old leaves, wood, and waste. Clean up your garden well. • Check your pet regularly for fleas by combing them with a flea comb. Fleas will die if you put them in water with a little washing-up liquid. • Treat your pet regularly with an anti-tanning agent. • Daily careful vacuuming, especially the places where the pet is much, can help against fleas. • Dress and baskets must be knocked out regularly. By laying them in the sun you can disturb the development of flea eggs and larvae. • Wash at 60 degrees. This kills possible flea larvae. Cockroaches spread bacteria, fungi and germs, reproduce quickly and spread easily. Cockroaches secrete an unpleasant, musky, odor. To prevent a cockroach plague, it is important that you keep your home and especially the kitchen clean. By closing gaps and crevices and placing fine mesh for ventilation openings, you limit the spreading possibilities. Cockroaches easily carry laundry and used goods. Check these items and clean them well. You can still fight a few cockroaches yourself. But usually, there is a plague. Then you would better use a professional pest control agent. Wasps and bees build their nest both indoors and outdoors. You can find them in the attic, under the roof or the gutter, under floors, between ceilings or in the cavity wall. Otherwise, you can find them in the ground in old moles, hanging freely in bushes, in bird nest boxes or in the barn. Do you find a nest? Never close the entrance to the nest. Wasps and bees can become aggressive and always find a different entrance or exit. Call the Pest Control Department of your municipality to remove the nest.